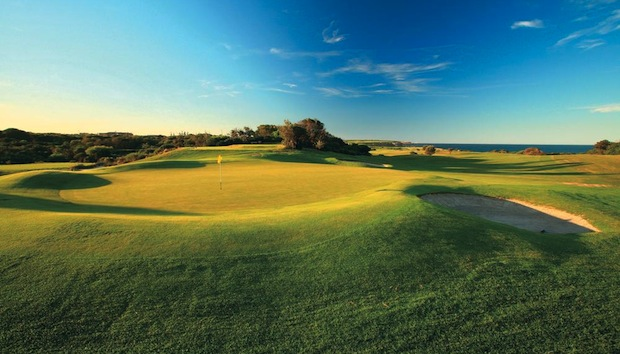 St. Michael’s Golf Club in Sydney is one of New South Wales’ top 10 golf courses, and holds a national top 50 ranking. The accolades come as no surprise when you see its location; positioned amongst the Botany Bay National Parkland, looking out at the Pacific Ocean, St Michael’s course design emphasises the beauty and natural terrain of the Little Bay Peninsula it sits upon. A beautiful landscape like this deserves a perfect playing surface for members, which is why St Michael’s Superintendent Russell Fletcher recently made some machinery upgrades. With his initial greens mower reaching its life expectancy, Fletcher, with the club committee’s approval, invested in a Jacobsen Eclipse 322 Greens Mower. He said the purchase was a bit of a no-brainer given their current fleet includes a lot of Jacobsen machinery already. “We’ve got fairway machines, a sprayer unit, and a bunker machine from Jacobsen, so we have a good assortment of Jacobsen equipment now. 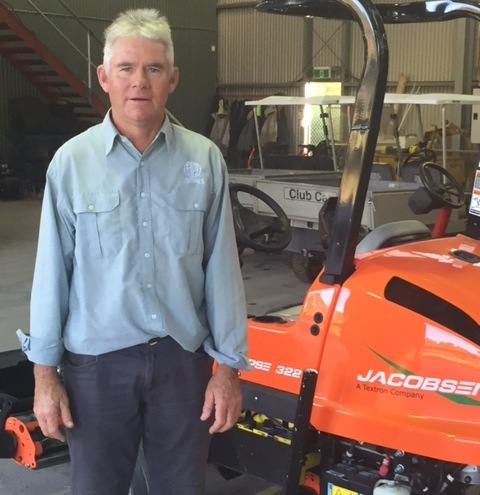 Jacobsen’s quality of cut is the best thing they’ve got over their competitors, having already used their fairway machine, getting the Jacobsen greens mower was an easy decision,” Fletcher said. 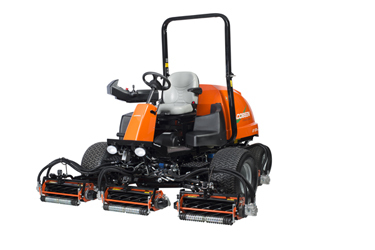 The Eclipse 322’s precision cutting style comes from its ability to program the frequency of clip (FOC) to fit unique turf conditions, and ensure consistent results. One of the first greens mowers to do this, Fletcher said this was another factor for going with Jacobsen. “Technology is going ahead, you just need to go with it really and embrace it. Instead of staying in the dark ages you need to stay up with the new technologies, and in that regard the [Jacobsen] greens mower has been very useful so far,” he said. 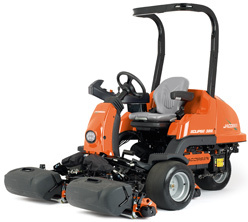 Keeping up with technology, another Jacobsen machine in St Michael’s collection; the LF570 Fairway Mower offers the industry’s only passcode-protected, programmable max transport and mow speed settings to control cut frequency – offering ease of use, removing tools and operator input from the equation. The final decider in St Michael’s purchase of the Eclipse 322 was the mower’s savings in fuel costs. All three models in the collection; electric, gasoline hybrid and diesel hybrid will reduce fuel usage by up to 50% due to Jacobsen’s Green Initiative. “I know the cost and fuel saving was very impressive, even the committee gave it the thumbs up when they saw how great it was for fuel economy,” Fletcher said. While the fairways at St Michael’s Golf Club were switched from kikuyu to couch nearly four years ago, the greens which are a bent grass have not been renovated for more than 40 years. Fletcher said this is their biggest challenge, combined with the undulating greens surface, due to its coastal location. “Due to the age of the greens we have a bit of trouble sometimes, but the fairway and greens mowers handle the terrain very well. Overall, Fletcher and his staff are maintaining nearly 40 hectares at St Michaels. In turf surface, Fletcher said this is roughly one hectare in greens, 12 in fairways, six in tees, with the rest made up in the rough. Made up of 11 staff members, Fletcher said the new equipment has been a highlight for the team; an acknowledgement from the club for the work they put in. I’d definitely say I’m a happy customer and I definitely have a happy team here, with the new products we’ve just invested in. New toys are always fun, but I think the staff also feel like the club has recognised the work we put in and the work we do is important,” said Fletcher.